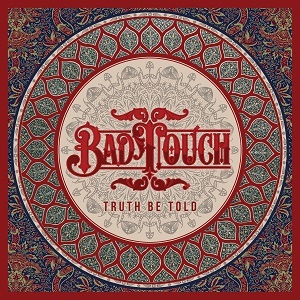 Bad Touch are a band from Norfolk who sound more Deep South USA than rural England. They've got a great Classic rock meets southern rock sound and as you listen to this album you can't fail to be impressed. Have a listen to "99%" and hear for yourself what they're like. It's a great song and is the first single from the album, but I wouldn't have picked it as the best song here. In fact picking the best song on the album is a tricky one - there are too many contenders for that title. There's nothing overdone or pretentious with Bad Touch - no guitar solos thrown in to boost the guitarists ego, no extra stuff that doesnt need to be there - this is just good rock and roll - great music to listen to loud when driving or to party to. A band for fans of Black stone cherry, Broken Witt rebels, Lynyrd Skynyrd and more.